Age after age, men-of-God have come to re-awaken the spirit of real religion in man. Their awakening call has been worded in the language of the times, comprehensible by the common man of the age. The prophets returned to their "Source": but their message endured. It came to he interpreted and "compared" with that of the other prophets. Differences were emphasised and exaggerated. Thus came conflicts. 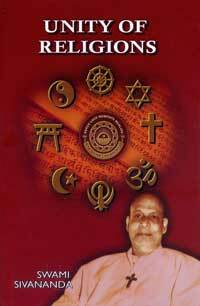 The publishers hope that this publication would further Sri Swami Sivanandaji's yeoman services to the cause of unification of the hearts of people belonging to all the religions of the world.